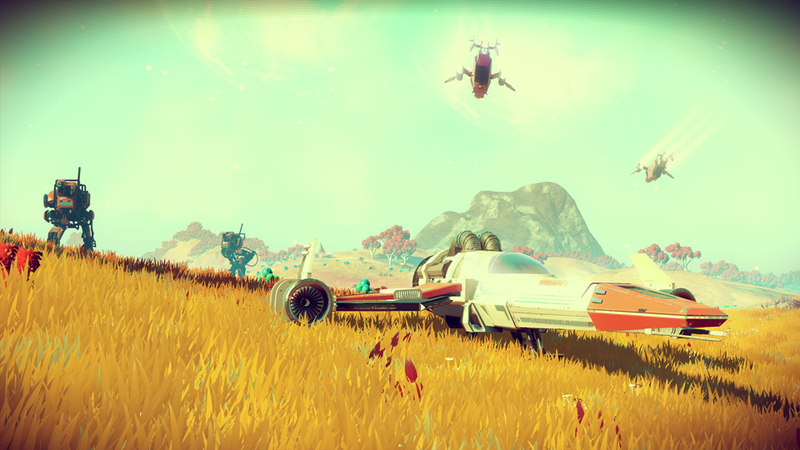 It’s official: No Man’s Sky may be called No Man’s Sky. No Man’s Sky developer Hello Games has settled three years of “secret stupid legal nonsense” over the space adventure’s title. Founder Sean Murray revealed the hush-hush legal wrangling in a tweet this weekend, noting that the dispute turned on Sky UK LTD’s ownership of the word “Sky”. That’s right: an internet and subscription TV company has enough legal claim on a common word that it took three years to sort out whether a video game could release with a three-word title including said signifier. This may seem unbelievably stupid to you (along with many matters of copyright, trademark and patent law) but it was a pretty serious matter: as Murray noted in a subsequent post, Sky managed to force Microsoft bow to its will in a similar case, and it’s not like Redmond’s short on lawyers. Anyway, the good news is it’s sorted out now so everything seems rosy for No Man’s Sky release in August for PC and PS4. Remember that time King got snarly over the word Candy, and Bethesda went after Mojang due to Scrolls? We all should have gone to law school, hey.